- A selection of essential Torx wrenches in a convenient folding package. - One piece composite handle is comfortable, lightweight, and slip resistant - and 40% stronger than steel. - Wrenches are made from high torque Bondhus Protanium industrial quality tool steel for a long life. 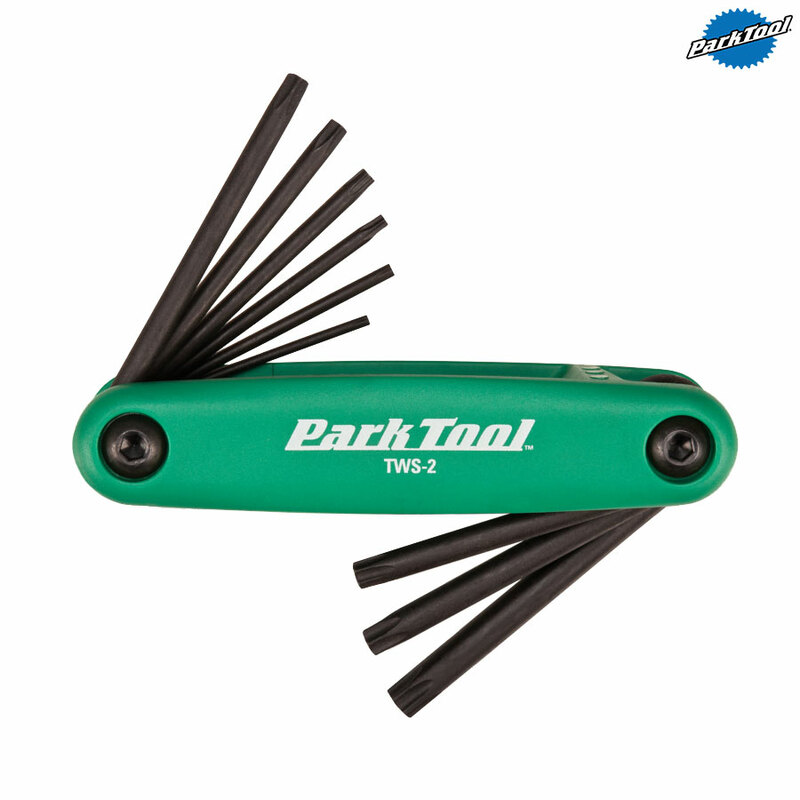 - Easy to recognise on the work bench or tool box as this Torx set comes in green rather than the traditional Park blue. - The T7, T9, T10, T15, T20, T25, T27, T30, and T40 Torx sizes supplied cover all the requirement of bikes today. - Torx wrenches are becoming increasingly popular on Disc brakes and chainring bolts as they make it harder to round off bolts.